Life’s journey can sometimes take a rough path and you just need someone special to help you along—or in Maureen Reiss’ case, a team of special Delaware Hospice professionals. It was Maureen’s turn to care for her mother. Always an active and healthy woman, June Keenan had suffered a stroke while vacationing in Florida. Along with other symptoms, she lost her ability to communicate her wishes and needs. With a few hospitalizations for minor health issues, she suffered additional setbacks in her physical rehabilitation. Simultaneously maintaining a family household and caring for her mother grew to become a tremendous burden for Maureen. 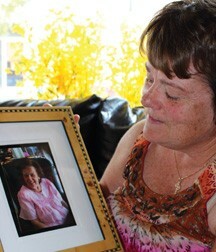 In the doctor’s office one day, Maureen met someone from Delaware Hospice who recommended she make a call. Her mother was admitted as a patient immediately, and Maureen found the help she needed. 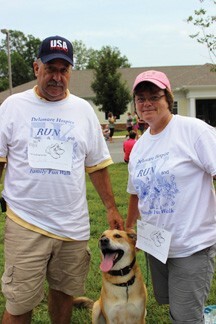 Maureen said, “It’s difficult to put into words all that Delaware Hospice did for us. It wasn’t just the care and comfort the team provided my mother, but for our entire family. “Uncertainty can be unnerving, but I knew that I had support. The team would patiently answer questions that often the medical professionals didn’t have time to answer. Maureen felt that having Delaware Hospice nurses visit her mother at her assisted living facility was instrumental in avoiding unnecessary hospital visits, as minor ailments were addressed in a timely manner with the assistance of the hospice nurse. 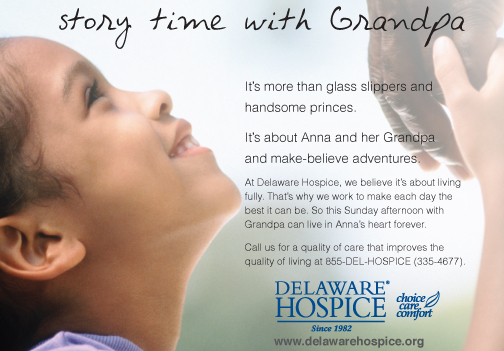 Since 1982, Delaware Hospice has provided exceptional care and support to 42,000 patients and their families. Its mission is to help each patient, each day, live the fullest, most comfortable life possible. Delaware Hospice is the largest and only licensed, nonprofit, community-based hospice serving Delaware and southern Chester and Delaware counties in Pennsylvania. Delaware Hospice is honored to be accredited by the Joint Commission; the nation’s leading health care standards-setting and accrediting organization. For more information about Delaware Hospice’s programs and services, upcoming events, or employment opportunities, call 800-838-9800 or visit our website, www.delawarehospice.org/get-help-now/resources/end-of-life-planning. ← Previous Story Silver Fillings – Are They Dangerous?